Read about Sandra’s incredible transformation with Metabolic Acupuncture! Watch our Twin Cities Live special all about the benefits of Metabolic Acupuncture! Watch Kelly from Twin Cities Live experience the relaxing and rejuvenating Women’s Renewal Retreat from our lovely practitioner Nicki Balian! See how acupuncture is beneficial for all stages of pregnancy in our TCL segment! Acupuncture and Pregnancy: What’s it for? Is it safe? Did you know there are simple things you can do at home to stay healthy? Senia Mae shares four easy things you can put into your body to help you feel energized, focused, and in good health! Women’s Renewal Retreat: An Essential Holistic Health Experience! Acupuncture and Chinese medicine provide safe, non-intrusive, and holistic treatments for infertility and other women’s health issues. Learn about a few acupuncture techniques we use, including abdominal acupuncture points and ear acupuncture, that can balance hormones and boost your ability to conceive. To book a free consult for women’s health or fertility with Nicki, click here. What does “healthy” look like? Suffering from PCOS? Acupuncture Can Help! No matter what your age, women have many health issues to tackle, from painful periods to infertility to menopause. 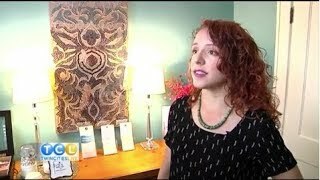 Watch Senia Mae on Twin Cities Live explain how acupuncture can help with cramps, hot flashes, insomnia and more. You’ll also learn what foods to eat and herbs to use to regulate hormones and bring your body to balance. To make an appointment to address your women’s health concerns, book online here.